NHCS Teacher Trot – May 4, 2019 | NC Race Timing and Running Events | Go Time! 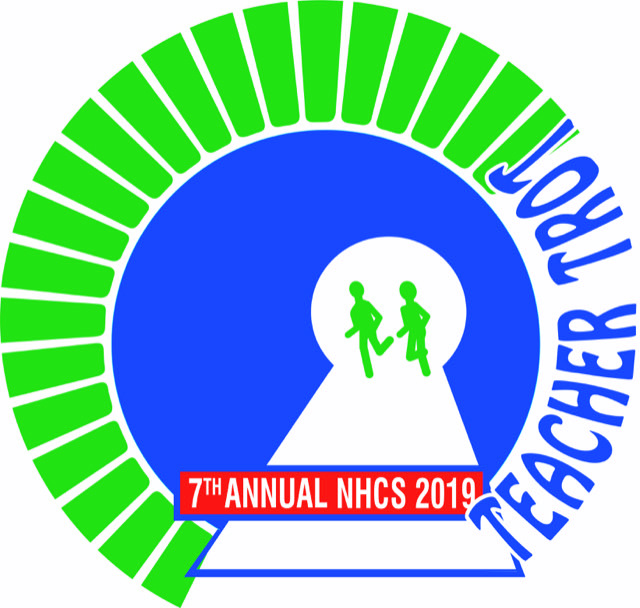 The NHCS Teacher Trot is geared towards encouraging students, staff and entire community wellness and is meant to motivate everyone to be more active on a daily basis. More than 600 participants joined together to support NHCS health and wellness in the first year of this event and it has grown annually. This event is not only a 5K for the entire community, but also a chance to celebrate the completion of the “Couch to 5K” program for school staff members. The coveted apple awards will once again be awarded to Age Group Winners! The proceeds of this race will provide New Hanover County schools with much-needed funding for both student and staff wellness initiatives. New Hanover is the 12th largest school district in North Carolina and is estimated to be the 311th largest in the United States. Race Shirts will be guaranteed to participants who register by 11:59 PM on Friday, April 12th, 2019. The shirts are available in Youth S-L and Adult Unisex S-XXL cut sizes, and are made of cotton. Be sure to claim your shirt today by registering! 1 Mile Fun Run: Takes participants four times around the Ashley High School track so fans can cheer them on the entire time. 5K Race: Start and end at the Ashley High School track but will loop around the entire Halyburton Parkway area around Anderson Elementary and Ashley High School. This is a Certified Fully Accessible Course – strollers and wheelchairs are all welcome! However, we do ask that you please leave your furry friends at home for this race. If you cannot make it, packets can also be picked up at the Race when Registration Opens. Please allow enough extra time before the race starts to pickup your packet. Parking is located in the Veteran’s Park Complex by the football stadium and around Ashley High School. Want to Volunteer or Sponsor? Waiver: The Registration Agreement & Liability Waiver is linked to the Online Registration. This must be selected and approved during registration. Packet Pick-Up: Family or Friends may pick-up your Race Packet at Packet Pick-Up. On-Site Registration: Registration is available starting one hour prior to race start. It closes 20 minutes prior to start. Weather: This race is rain or shine. It will be postponed, rescheduled or cancelled if a severe weather warning is in effect. Refunds: There are no refunds, registration will be accepted as a donation. Entries are not transferable to other races Timed by Go Time as each race is organized by a different group. We must stick to this policy as race items have been purchased based on current registrations and it is not fair to choose who receives a refund and who does not. © 2019, It's Go Time Inc.